New for 2016: On The Trail of Outlander Tours. This is a 7 day (6 night) tour taking you to the locations used for filming the Outlander TV series. For the fan of Outlander who wants to visit the locations and see/learn a bit more about Scotland and the Highlands. 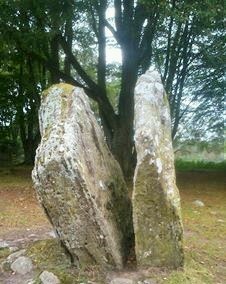 More information can be found www.onthetrailofoutlander.co.uk or click the link on top of menu. Also available on this website are the series of On The Trail of Outlander eBooks for the independent fan who would like to go at their own pace and explore on their own. Each eBook has been split into manageable day trips. Look who is mentioned in Clan Campbell (North America) newsletter! After 10 day tour with Campbells they gave me a mention in their newsletter, check it out.